Beers, Breweries, Brewing Collaborations, Dogfish Head, Imperial Pale Ale, Maui Brewing Co., News, Pale Ale, Sierra Nevada Brewing Co. The idea is for Deadheads to suggest ingredients that have some sort of Grateful-Dead-related sentimental value to them that would work well in a strong pale ale. I’m not a Dead fan, and the only two Dead songs I can think of are Scarlet Begonias and Casey Jones. I guess the begonias could work as a beer ingredient, but I’m guessing Dogfish won’t want to use cocaine. Deadheads interested in offering up legitimate suggestions should check the Dogfish website in the future for additional details. 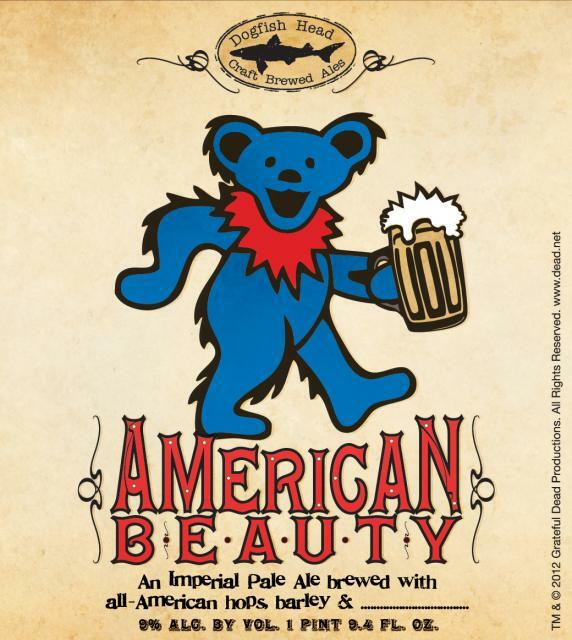 The American Beauty beer is expected to be available on tap and in bottles in October 2013. Dogfish Head and its Founder Sam Calagione have participated in quite a few collaborations recently, including Liquid Breadfruit, which it made along with Maui Brewing Co., and Rhizing Bines, which it’s in the process of making with Sierra Nevada Brewing Co. The brewery has worked with other brewers on limited release beers for years, but it seems like Dogfish is ramping up its collaboration efforts.